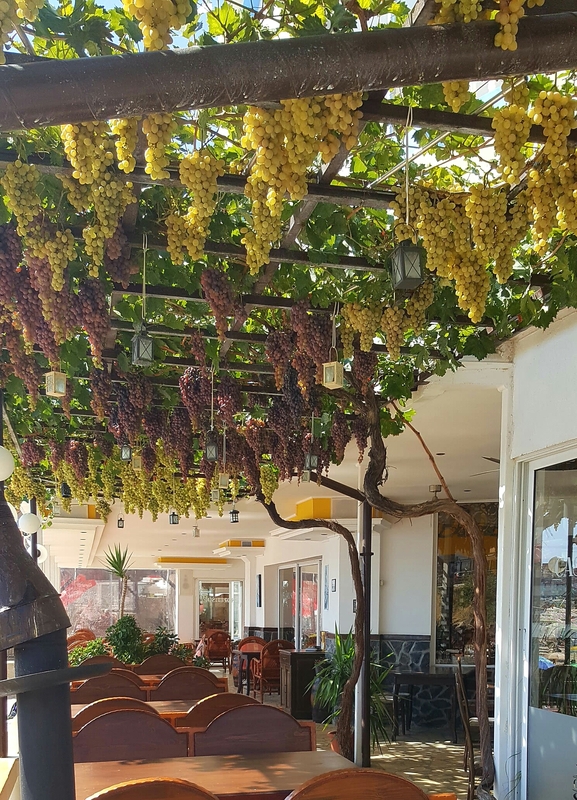 Casa Del Sol, Sozopol | Abandon Spoon! I had my eye on several items on the menu, but knowing how filling the fish soup often is in Bulgaria I thought I’d start with just that. It didn’t disappoint. Salmon and Black Sea fish, it was delicious. 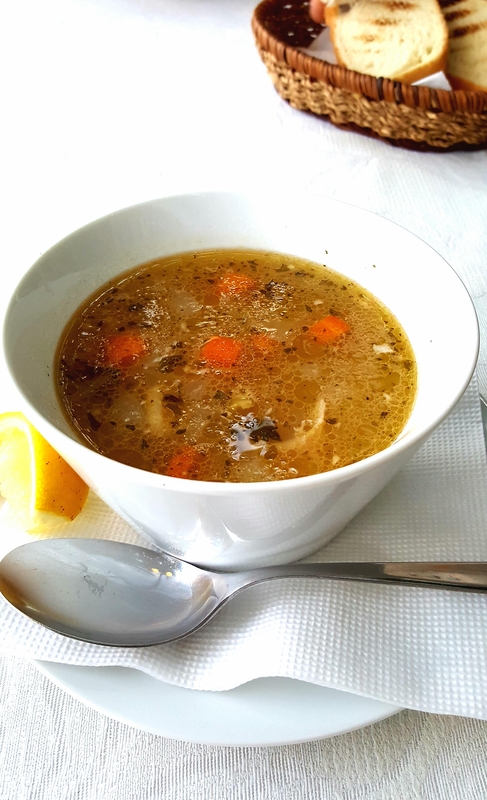 All fish soups are different and I like that because it doesn’t get boring, some have potatoes and some don’t, they have different varieties of fish and some are more creamy that others. This one contained carrots and potatoes and I actually came back another couple of times during my stay and it was always slightly different. The other item on the menu I ate on my first visit was the seafood risotto. It had mussels, shrimps and squid sprinkled with dill. 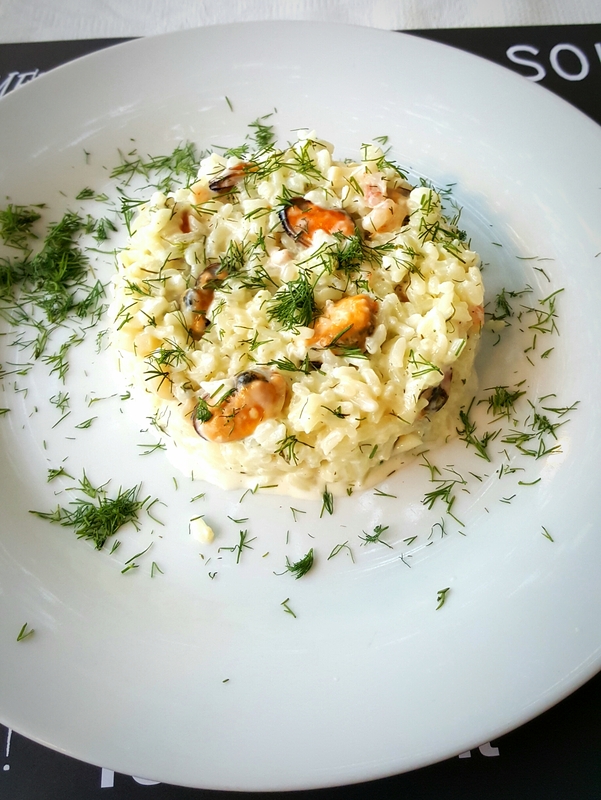 It was quite a creamy risotto which I love, and it didn’t overpower the flavour of the seafood. 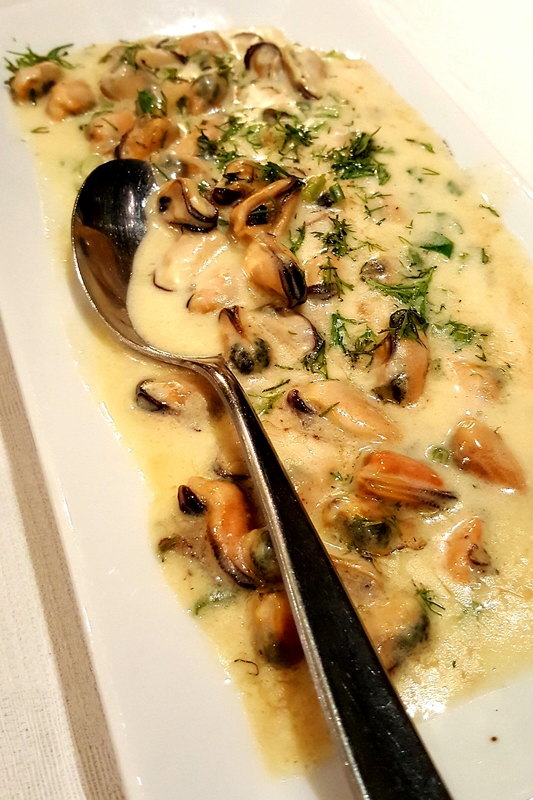 Later on during my stay I ate a mussel salad, not the kind with lettuce, but with cream and garlic. I also ate from the smoker pork ribs which were so tasty I didn’t have time to get a photograph of them before they dissappeared. The last visit I again had the fish soup, because I can’t have it back home, and seafood spaghetti. 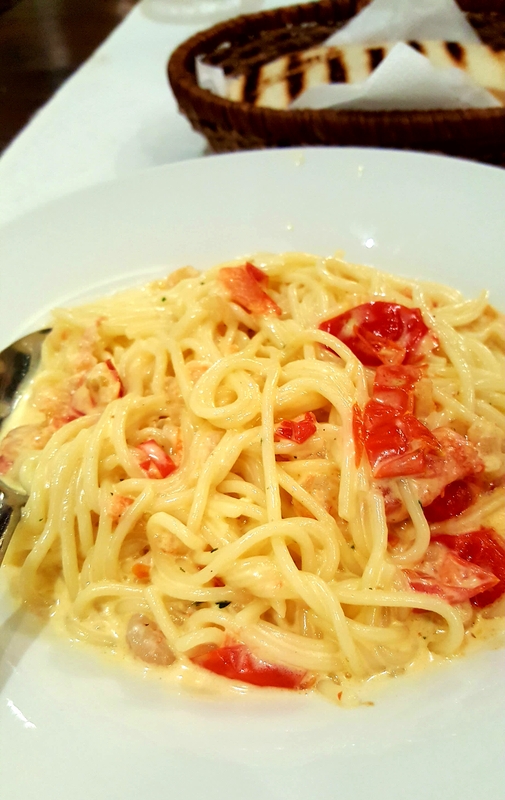 It had shrimps and cherry tomatoes and was delicious. 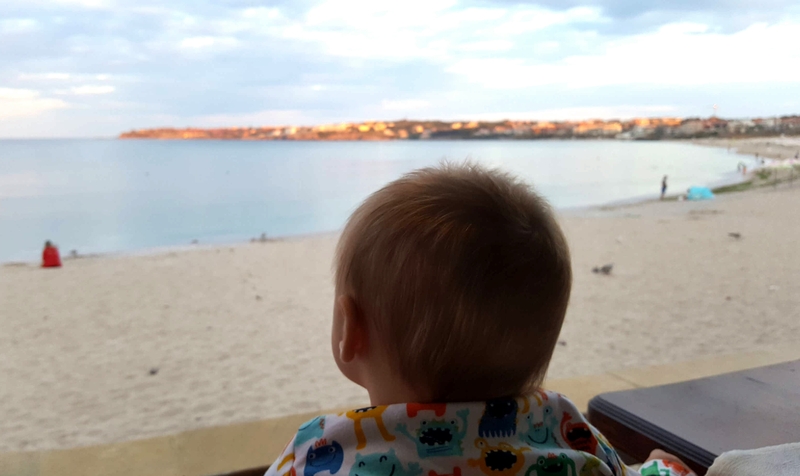 As mentioned in previous posts I have a new baby, and the restaurant were very accommodating, they had high chairs and didn’t mind my pushchair being slightly in the way. No baby changing facilities, but then again I have yet to see anywhere in Bulgaria that does.